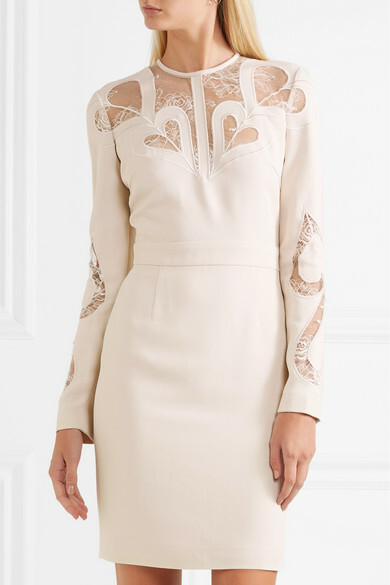 Elie Saab's dress is the perfect choice for brides seeking something romantic but a little more understated to wear before the big day - think bridal shower or rehearsal dinner. 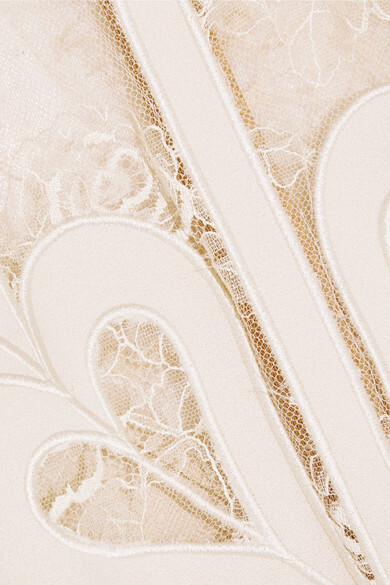 Neatly cut from ivory crepe, it has a delicate lace yoke aptly embroidered with love hearts. We love the idea of packing it for your honeymoon, too. Shown here with: Bottega Veneta Clutch, Stuart Weitzman Sandals, Charlotte Chesnais Earrings.